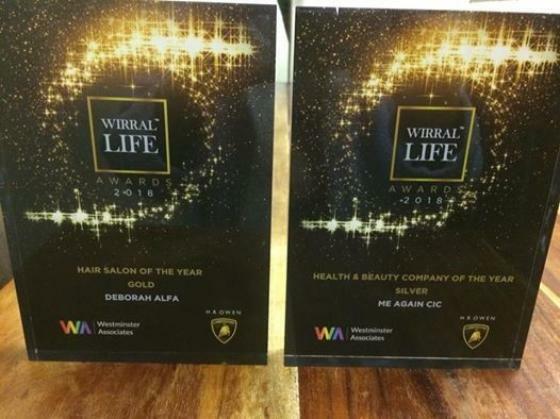 Congratulations to Deborah Alfa Hair & Beauty who has won two Wirral Life Awards 2018. The boutique hair and beauty salon based at Leverhulme’s Brimstage Hall & Courtyard won Gold in the Hair Salon of the Year and Silver in the Health & Beauty Company of the Year. Deborah also runs Me Again CIC, a non-profit organisation which helps women going through cancer. To help support more women throughout their journey from first diagnosis, Me Again is looking for some funding from an Aviva community fund which is open to public vote. Register your details, find Me Again CIC and you get 10 votes.